Caledonia Vineyard, the area’s newest winery, is hosting an inaugural event this year– the Caledonia Blackberry Festival! See below for details. Book your stay at the Old Caledonian B&B soon for this event! What time dessert need to be there ? Prize $$ , need to be present to win ? would like information on vendors and what the charge is. Hello! 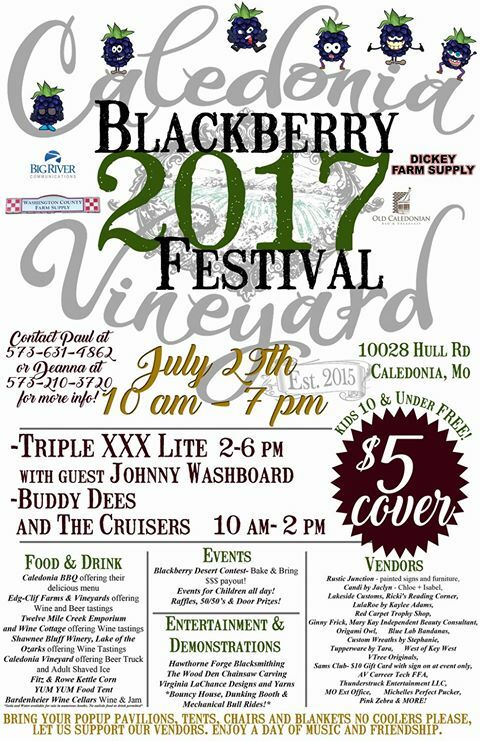 Blackberry Festival info can be found at https://www.facebook.com/caledoniavineyardllc . Thank you!